Faced with her regular duty of reading out her Government's plans for the next Parliamentary session, the Queen might have looked enviously at her Dutch counterpart who retired last month. When she got to the latest pension plans though she might have had second thoughts. Could one really live on £144 a week? The Pensions Bill will introduce the new flat-rate state pension in 2016, a year earlier than originally planned. 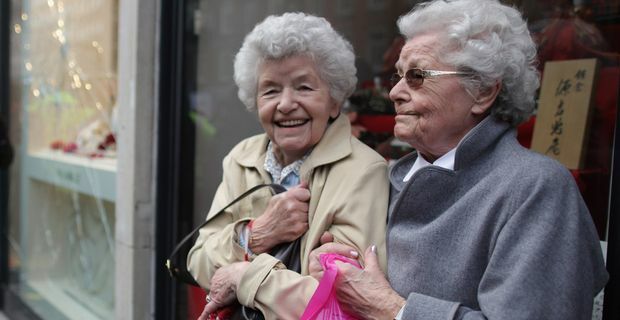 According to the Queen (we suspect she probably had little creative input into the legislation) the Bill creates "a simpler state pension system that encourages saving, and provides more help for those who have spent years caring for children." Reading between the lines, the "encourages saving" element translates as, "better start hoarding cash now because this won't provide much comfort in your old age". For many people retiring over the next decade and beyond, the annuities they can expect from their pension schemes will provide cold comfort. The economic crisis has savaged pension investments and many will rely on the state pension as a safety net. They might need to read the small print first. In order to qualify for the full state pension, workers will have to have paid 35 years of National Insurance contributions. Husbands, wives, civil partners and royal consorts will also no longer be able to claim the married person's allowance which was worth up to £66 a week. The new measures will mean a lot of people approaching pensionable age will be huddling over a calculator to ascertain what they can expect in terms of income. Few will be dancing a jig of delight. Michelle Mitchell of Age UK expressed some reservations. "We support the overall aims of the single tier pension, but we are concerned that the proposed amount is just one percent higher than current Pension Credit level," she said. She also indicated that the end of married person's allowance will be costly to women who were relying on their husband's National Insurance records.